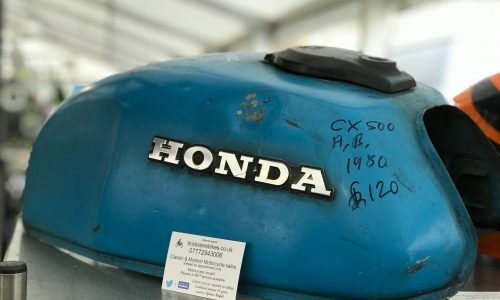 Assembled by Dutch entrepreneur Michael Buttinger, the collection comprises almost 100 machines, the majority of which are Hondas ranging from the humble but design-classic 50cc Super Cub to the technological tour-de-force NR750. The NR75O is estimated at a value of £50,000-70,000. It was designed with no expense spared by Mitsuyoshi Kohama, and intended to showcase Honda’s advanced technology. Also on offer are a selection of early Suzukis, Kawasakis and Yamahas, a variety of later 1970s and 1980s classics, and two prototype engines—a sand cast CBX1000 and a CX500. Many of the motorcycles are effectively new or unused, and many have only a handful of ‘push’ miles recorded. 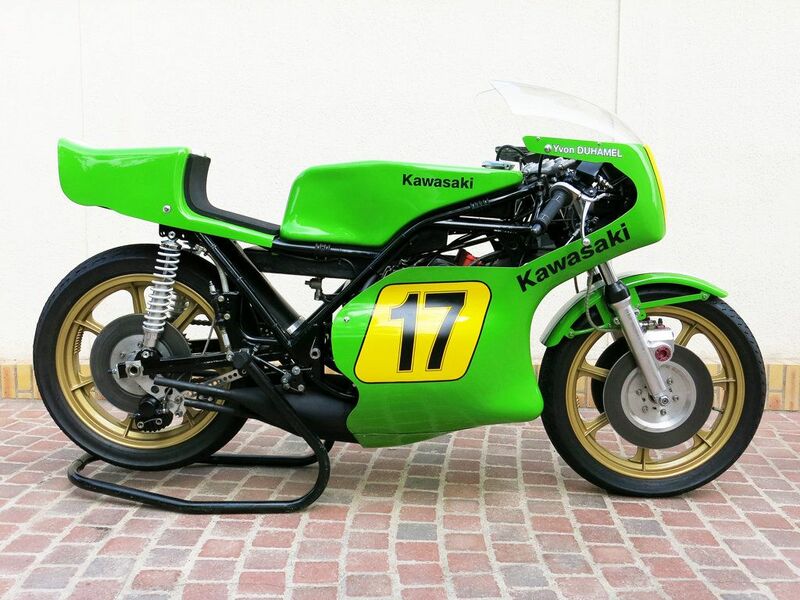 Outside The Buttinger Collection, the 1974 Kawasaki 500cc H1-RW 500cc triple is estimated to sell for a value between £60,000 and £70,000. Japanese works Grand Prix motorcycles from the 1970s are exceptionally rare and even rarer in private hands, most having been either scrapped or consigned to museums. 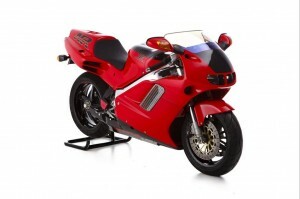 So the Kawasaki is sure to attract attention from collectors. 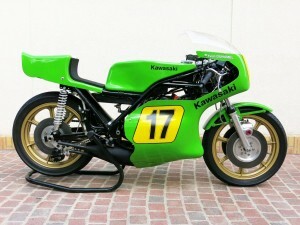 It is one of only two machines built by the factory for the French Kawasaki importer SIDEMM for use in the 500cc World Championship. The bikes were ridden during the 1974 season by the French endurance racing specialist Christian Léon and French-Canadian Formula 750 star Yvon Duhamel. 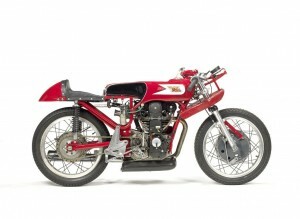 The 250cc Moto Morini Grand Prix racer will be of particular interest to collectors of European racing motorcycles. Until the recent arrival of the Moto 3 class in Grand Prix racing, the 250cc Moto Morini was the fastest single-cylinder four-stroke of its capacity ever made. Despite missing two rounds of the 1963 World Championship, works rider Tarquinio Provini lost out on the title by only two points. The bike is from an Italian private collection, and estimated to fetch between £75,000 and £85,000. 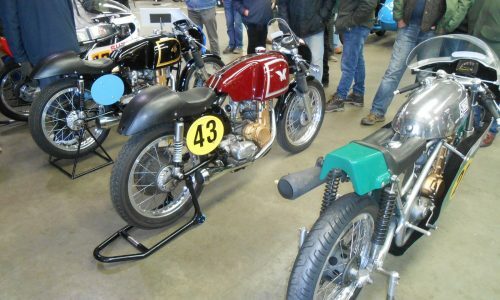 The sale also includes two unique Royal Enfield racers, built by former World Champion, the late Bill Lomas, and offered for sale by the Lomas family. The first is a c.1946 350/500cc JAP-engined ‘special’, estimated at a value of £10,000-14,000, and the second is his famous twin-cam ‘250’, estimated at £10,000-14,000. Built in 1949, the ‘cammy’ motor went into Bill’s successful 250cc Enfield racer, and his excellent results on this machine led to offers of rides in Grands Prix and at the Isle of Man TT. He went on to win the 350cc World Championship for Moto Guzzi in 1955 and 1956 before retiring to run the family motorcycle business. Other desirable British classics include a 1938 Vincent-HRD 500cc Meteor ‘barn find’, acquired by its recently deceased owner in the late 1940s and laid up since 1957, estimated to fetch bewteen £22,000 and £26,000, and an incomplete 1939 Brough Superior 980cc SS80 restoration project, estimated at £10,000-15,000.